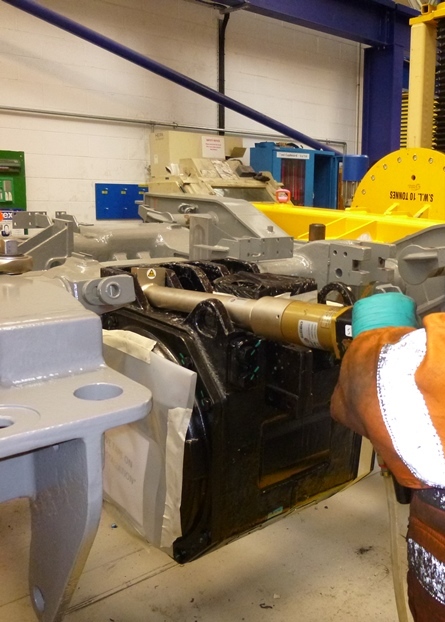 The bolts on this Train Traction Motor are in two dimensions, both with different access problems. 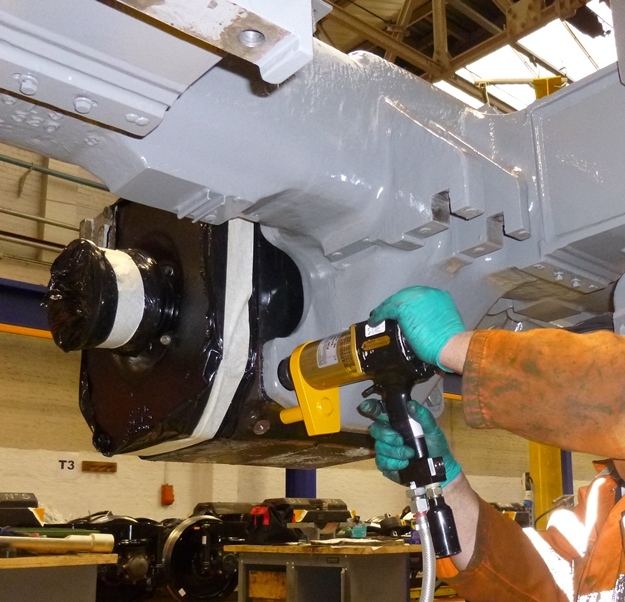 The nose cone is being used with a C-RAD 34 Pneumatic Torque Tool on the side positioned bolts of the Traction Motor at a torque of 1180Nm. 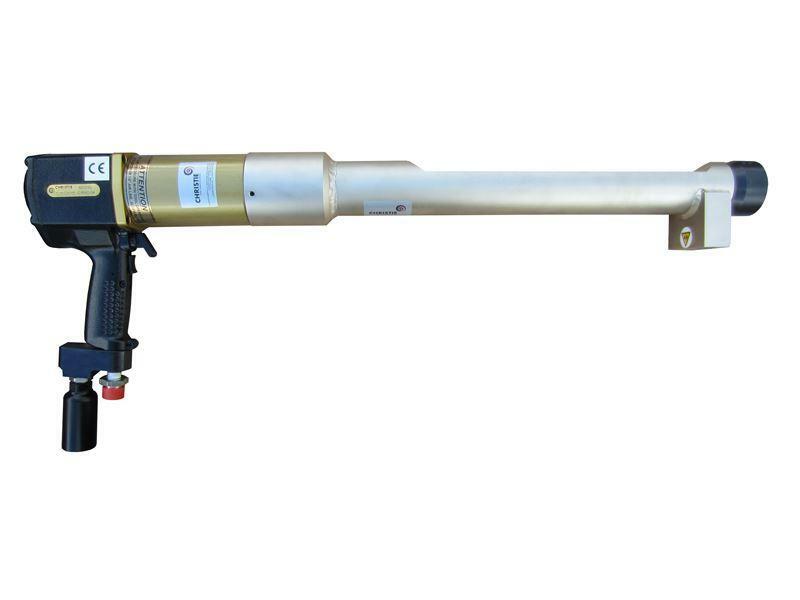 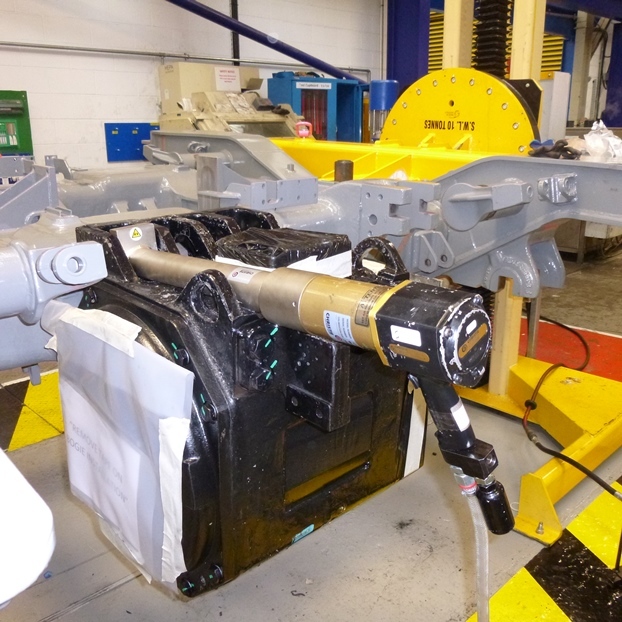 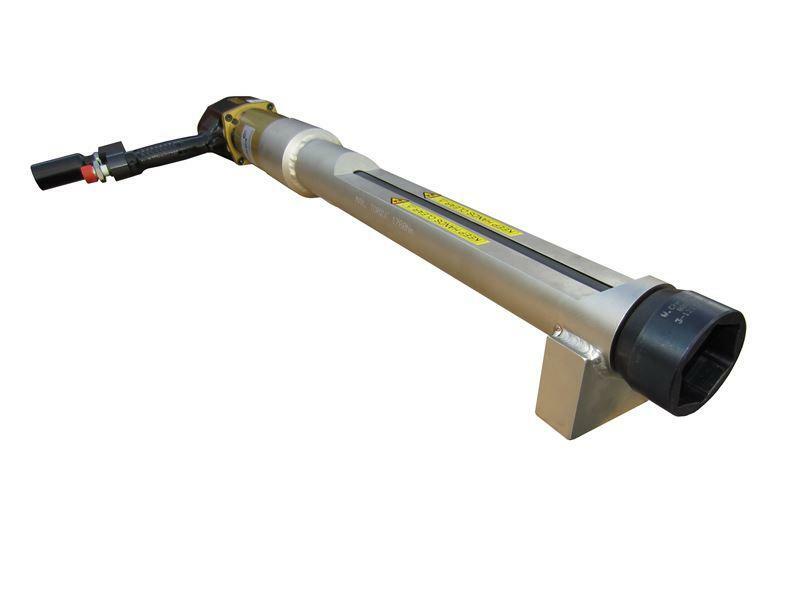 The peg reaction with C-RAD 34 Pneumatic Torque Tool is being used on the traction motor bolts on the underside of the motor at a torque of 870 Nm.